Cultural gymkhana “back to the future”. You are here: Home / Experiences and Workshops in Valencia / Cultural gymkhana “back to the future”. 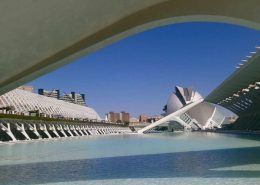 Travel to the most futuristic part of Valencia with this cultural gymkhana “back to the future”. Official guide during the cultural gymkhana “back to the future”. Get to know the most futuristic part of Valencia in a different, pleasant and unique way with this cultural gymkhana “back to the future”. The stage could not be other than the City of Arts and Sciences. This is one of the largest cultural complexes in Europe dedicated to cultural and scientific dissemination. A unique place to expand your knowledge of science, art, music, technology and nature. 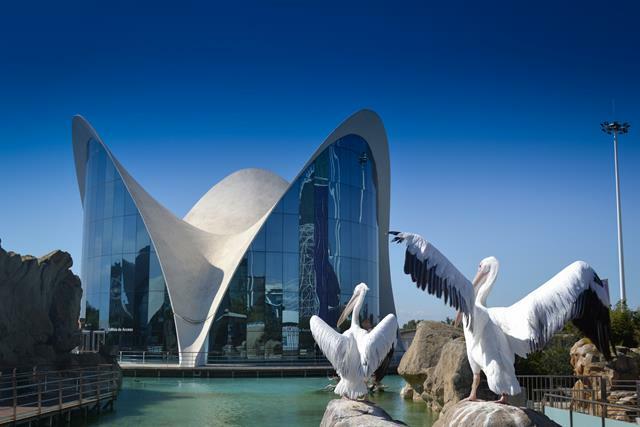 All this makes it an obligatory visit in Valencia, whether you go alone or with your family, for adults and children. The City of Arts and Sciences provides knowledge and fun for the whole family. In addition to being a large complex, its futuristic architecture attracts powerful attention. 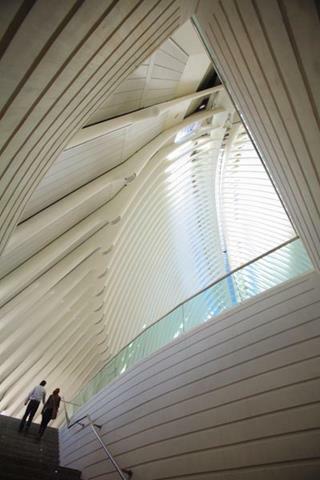 Two Spanish architects were responsible for this: Santiago Calatrava and Félix Candela. It is located at the end of the old Turia riverbed. This allowed to revitalize the area attracting visitors from all over the world. The City of Arts and Sciences connects with the city centre through this old bed of the River Turia, the green lung of Valencia. This old riverbed provides an exceptional walk through gardens and nature. It is made up of several elements along an axis of almost 2 kilometres. What elements make it up? The Hemisfèric. In it, large-format digital film projections are carried out on its enormous 900-square-metre concave screen. The films he screens are popular science films and are aimed at all kinds of audiences. They usually last about 45 minutes. 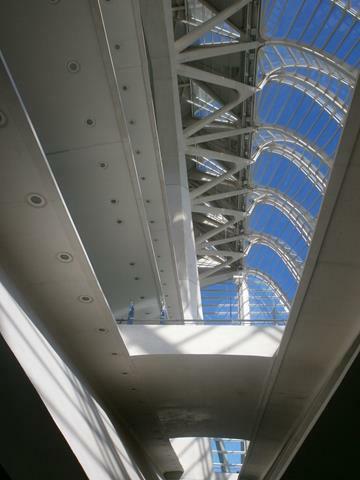 The Hemisféric was the first element of the City of Arts and Sciences to be inaugurated in 1998. The Umbracle. This space was conceived as a lookout point, as it offers wonderful panoramic views of the entire complex. 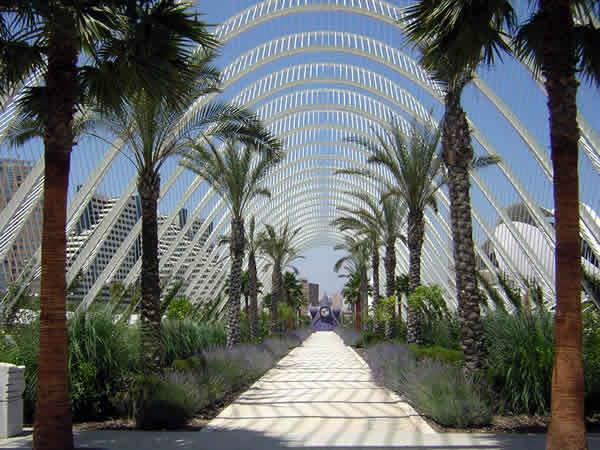 In the Umbracle there is a garden area with autochthonous plant species. It also has an exhibition area for art sculptures that varies throughout the year. At the bottom there is a large car park. The Príncipe Felipe Science Museum. It is an interactive museum where you can learn about science and technology. The aim is for the public to experiment with science, to participate in scientific experiments. Its aim is for visitors to enjoy science. It was inaugurated in 2000. The Oceanográfico. The largest aquarium in Europe. It represents some of the most important marine ecosystems on the planet: Mediterranean, Wetlands, Oceans, Temperate and Tropical, Arctic and Antarctic, Islands, Red Sea. The icing on the cake is put by its dolphinarium with which knowledge and fun are assured. The Oceanográfico was inaugurated in 2002. The Palau de les Arts Reina Sofía. Dedicated to the main musical and opera shows in Valencia. It is an avant-garde space both for its exterior and interior architecture and is equipped with the latest technologies. Its Main Hall has a capacity for more than 1,400 attendees. It was inaugurated in 2005. The Ágora. This is a multifunctional space to host all kinds of events such as the Spain Burn Freestyle Cup or Valencia Fashion Week. Gymkhana “back to the future”. 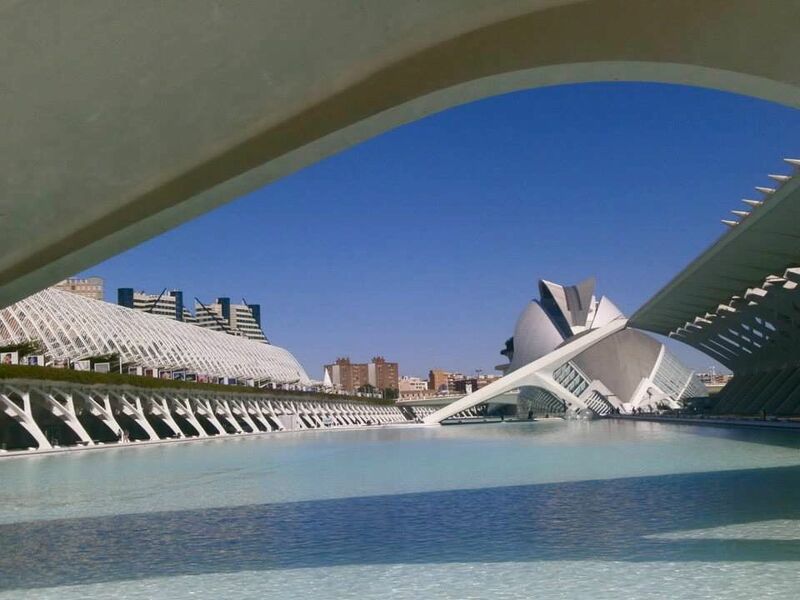 With this cultural gymkhana you will get to know the most avant-garde and futuristic part of Valencia through a different and participative guided tour. Test your knowledge and skills to pass the tests and get back to your time. A trip to the future full of fun and interesting tests related to science, nature, art and technology. You will have to face all these different subjects and solve the challenges you face. The official guides will provide fundamental information about the City of Arts and Sciences. Moreover, this information will be fundamental for the resolution of the different tests. All of them will be related to the City of Arts and Sciences and the different elements that make it up. The Príncipe Felipe Science Museum, the Hemisfèric, the Palau de les Arts Reina Sofía and the Umbracle will play a fundamental role. The large extension that occupies the entire cultural complex of the City of Arts and Sciences will help to develop the different events of the cultural gymkhana “return to the future”. At the same time, its impressive architecture will stimulate the imagination and creativity of the group. Did you know that the City of Arts and Sciences has been the setting for television commercials and international films? Not only does the time invested in solving the tests count, but also teamwork and participation. It is very important that the work is well organized, the tasks well distributed, that the communication is positive and effective. All these aspects will be valued and will also help to make teamwork better and therefore also the resolution of the evidence. Come, travel with us to the future.